The tour covering 15 days takes tourists to several of historical destinations of Rajasthan, which are rich in their historical and cultural heritage. The renowned destinations you visit in this tour include Delhi, Mandawa, Bikaner, Jaisalmer, Jodhpur, Udaipur, Pushkar, Jaipur and Agra. Calling tourists from all over, these places dont only offer tourists to enjoy sightseeing of culturally and historically rich places, but also let them indulge into many of recreational activities. Day 1 : Delhi. Arrive Delhi in evening. Overnight stay at hotel. Day 2 : Delhi. Take sightseeing tour of Old Delhi and New Delhi, which include visit to many of historical edifice like Qutab Minar, Lotus Temple, Humayun Tomb, Red Fort and Jama Masjid. Day 3 : Delhi-Mandawa. After breakfast, take a long drive, and reach to Mandawa. En route visit Jhunjhunu. Day 4 : Mandawa-Bikaner. Enjoy small sightseeing of Mandawa village in morning. Afternoon drive to Bikaner. Spend evening in leisure. Day 5 : Bikaner-Jaisalmer. The morning sightseeing of Bikaner takes you to visit famous places like Bikaner Fort, Deshnoke Temple and Lalgarh Palace. Afternoon, you drive to Jaisalmer. Overnight you stay there at the hotel. Day 6 : Jaisalmer. The whole day sightseeing includes visit to famous places like Manak Chowk and Haveli, The Fort and Gadisar Lake. Afternoon, you will enjoy camel safari in world famous Sand Dunes. In evening, drive back to the hotel. Day 7 : Jaisalmer-Jodhpur. Next place you explore will Jodhpur. Take a morning drive to Jodhpur, and en route visit to Mandore. Day 8 : Jodhpur. The full day sightseeing tour of Jodhpur takes you to visit to its important places like Mehrangarh Fort, Umaid Bhawan Palace and Jaswant Thada. In evening, explore traditional villages through jeep safari. Day 9 : Jodhpur-Udaipur. Drive to Udaipur after breakfast. Arrive there afternoon. Enjoy evening in leisure while being at hotel. Day 10 : Udaipur. Take boating excursion at famous Pichola Lake. Later, take sightseeing tour of the historical town, and visit places like City Palace and Jagdish Temple. Overnight stay at hotel. Day 11 : Udaipur-Pushkar. Drive to Pushkar in the morning. En route, visit to Elkingi Temple Complex and Nagda Group of Jain Temples. Day 12 : Pushkar-Jaipur. In the morning, visit to world famous Pushkar Temple and Pushkar Lake. Afternoon, take a drive for Jaipur. Day 13 : Jaipur. The whole day keeps you engaged exploring the historical city of Jaipur, better called as the Pink City Of India. You visit here several of important locations like City Palace, Jantar Mantar, Amer Fort, Museum, and many shopping centres. Day 14 : Jaipur-Agra. In morning, drive to Agra. En route, enjoy wildlife excursion at Bharatpur at its popular national park and bird sanctuary. Arrive Agra in the evening. Overnight stay at hotel. Day 15 : Agra-Delhi. 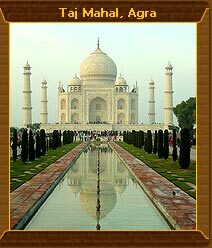 Visit to world famous monument of love  Taj Mahal comes at your way in the morning. In noon, you drive back to Delhi. Our representative will transfer you to airport as per as your flights schedule. 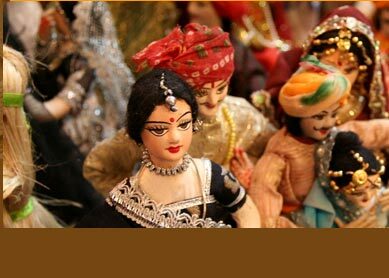 The fame of culturally and super rich state of Rajasthan is universally known. Not to forget to mention is opportunity of recreational activities like camel safari, forts, palace and temples sightseeing, shopping, wildlife excursion and photographing, which really yield a great difference in your tour. These activities adding greater charm to your experience of cultural exploration of Rajasthan are tourists favourite recreation. 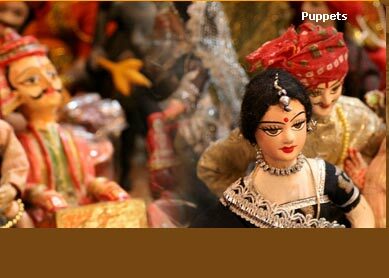 Moreover, shopping at popular bazaars of Jaipur and Delhi are another joy not to be missed. The best buy are handicrafts items, textiles and jewelry items.